Parents and students are gearing up for another school year in Tonopah and surrounding towns in the area. 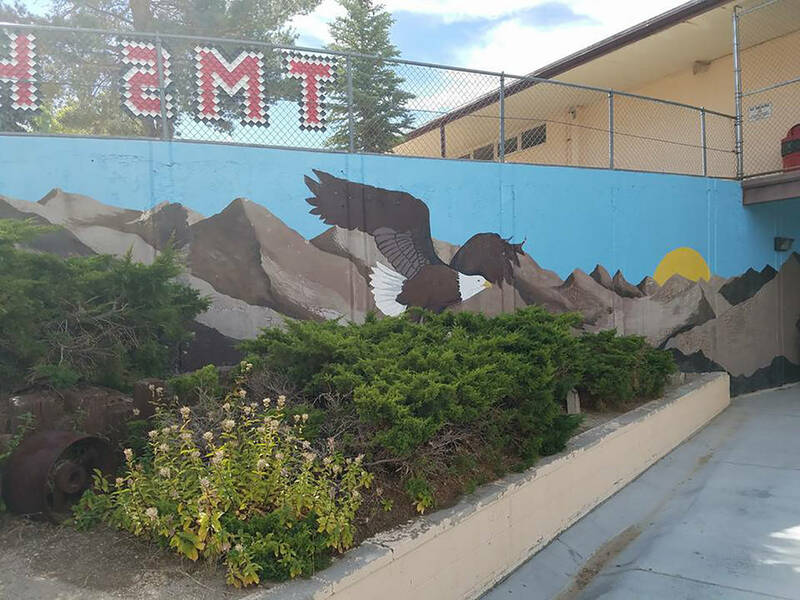 David Jacobs/Times-Bonanza A mural is on display outside Tonopah Elementary and Middle School. The new school year is about to get underway. Special to the Times-Bonanza Students, parents and guardians are gearing up for another school year to begin at area K-12 schools. The new school year is set to start on Aug. 13 for most students. Pre-K and kindergarten students are set to start classes on Aug. 20. The Tonopah Elementary/Middle School was set to have its sixth-grade orientation at 6:30 p.m.Aug. 9. The Tonopah Elementary/Middle School will have its first day of instruction on Aug. 13 for first through eighth grade. Pre-K and kindergarten classes are set to begin on Aug. 20. The school day goes from 8 a.m. to 2:35 p.m., according to information from the school district. High school students are also set to start classes on Aug. 13. The campus is at 1 Tennant Drive. The first day of classes in Esmeralda County is also scheduled to begin on Aug. 13, according to the school district’s website. 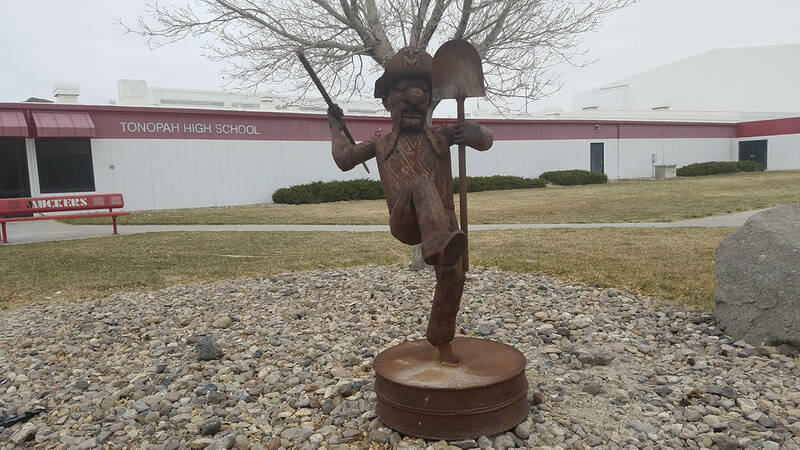 The middle/elementary school in Tonopah is reminding parents and guardians of new students that they should register online through the Infinite Campus. After doing the online portion, those parents should head to the elementary/middle school office to finalize their registration between the hours of 10 a.m. and 3 p.m. on Thursday with their requested information. School officials said registration on Friday is set to occur between the hours of 10 a.m. to 12 p.m. at the elementary/middle school. Tonopah Elementary/Middle School is located at 1220 Idaho Circle. Parents and guardians of current students can re-enroll their children at the parent portal, according to the school district. Those parents should also head to the school’s office during registration hours. Parents and guardians of new and current students need a photo ID. For current students who have had a change of address, proof of residence is being asked for by the school. For questions pertaining to elementary and middle school students, call 775-482-6644. The Tonopah High School’s main number is 775-482-3698.